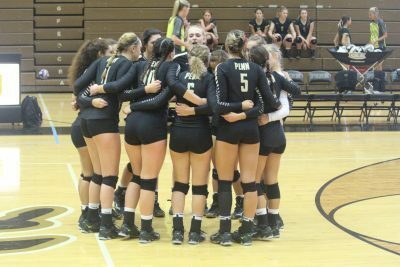 Penn opened the Volleyball State Tournament with a 25-7, 25-12, 25-9 victory against South Bend Adams in the Class 4-A South Bend Clay Sectional on Thursday, Oct. 12. Penn (29-4) advances to the Semifinal round to play at noon on Saturday, Oct. 14. Italia Fields and Rachel Rupert blasted 11 kills each. Alyssa Torres had eight kills. Naomi Willis dished out 33 assists. Rachel Hickey had 16 digs, Julia Beers 14, and Sophia Cruz 10 digs.